An escaped cannibal, a family curse...and Reginald Worcester turning up on the doorstep. 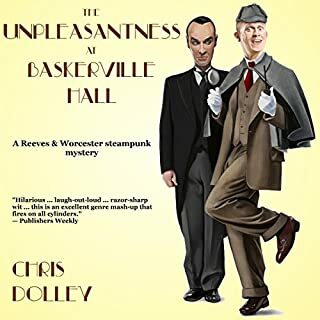 Could things get any worse for the Baskerville-Smythe family? As the bodies pile up, only a detective with a rare brain - and Reggie's is so rare it's positively endangered - can even hope to solve the case. But...there is the small matter that most of the guests aren't who they say they are, the main suspect has cloven feet, and a strange mist hangs over great Grimdark Mire. Luckily, the young master has Reeves, his automaton valet, and Emmeline, his suffragette fiancée, on hand to assist. Guy Fawkes is back, and this time it's a toss up who's going to be blown up first: Parliament or Reginald Worcester, gentleman consulting detective. But Guy might not be the only regicide to have been dug up and reanimated. He might be a mere pawn in a plan of diabolical twistiness. Only a detective with a rare brain - and Reggie's is amongst the rarest - could possibly solve this "five-cocktail problem". H. G. Wells has a problem. His Aunt Charlotte has borrowed his time machine and won’t give it back. Now, she’s rewriting history! Reggie Worcester, gentleman’s consulting detective, and his automaton valet, Reeves, are hired to retrieve the time machine and put the timeline back together. But things get complicated. Dead bodies start piling up behind Reggie’s sofa, as he finds himself embroiled in an ever-changing murder mystery. A murder mystery where facts can be rewritten, and the dead don’t always stay dead. 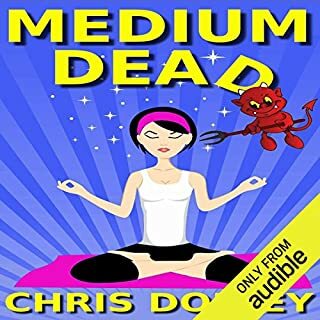 Medium Dead is a fun urban fantasy chronicling the crime fighting adventures of Brenda - a reluctant medium - and Brian - a vigilante demon with an impish sense of humour. Think Stephanie Plum with magic and a dash of Carl Hiaasen. Brenda Steele is smart, funny and out of her depth. A Vigilante Demon called Brian wants her to find murdered spirits and help him track down their killers. But Brian doesn't just catch criminals, he likes to play with them first, and make the punishment fit the crime. Cara Devon has always suffered curiosity and impetuousness, but tangling with a serial killer might cure that. Permanently. 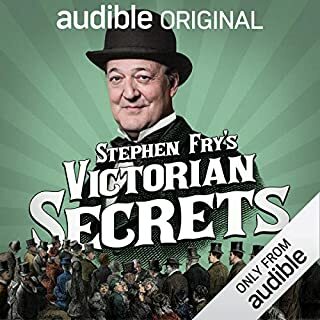 London, 1861: Impoverished noble Cara has a simple mission after the strange death of her father - sell off his damned collection of priceless artifacts. Her plan goes awry when aristocratic beauties start dying of broken hearts, an eight-inch-long brass key hammered through their chests. Beyond the everyday world of King's Cross Station lies an island of oddities and magic. When their infant Prince is stolen, the island's magical residents form a team to rescue him. The only trouble is, they can't get to him for nine years. Narrator Paul J. Rose's graceful, airy performance injects witty fun to this steampunk-inspired pastiche of P.G. Wodehouse. 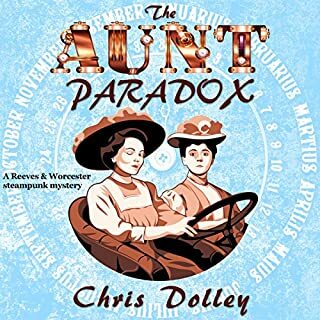 Gentleman amateur detective Reggie Worcester and his automaton valet Reeves, recently dug out from the attic at his gentleman's club, deal with terrifying aunts and less-frightening murders. Rose expertly conveys Reggie's fey, bumbling Wodehouse-ian mannerisms, contrasting them with great effect to Reeves' unflappable demeanor. 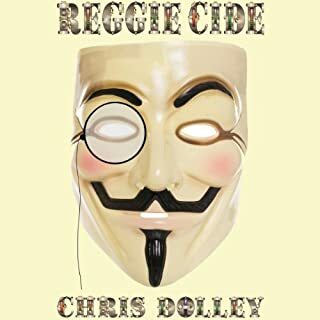 Listeners will be won over by the rollicking pace of the two stories in this audiobook as Reggie stumbles into one sticky spot after another. What Ho, Automaton! chronicles the adventures of Reggie Worcester, gentleman consulting detective, and his automaton valet, Reeves. Reggie, an avid reader of detective fiction, knows two things about solving crime: One, the guilty party is always the person you least suspect. And, two, the Murders in the Rue Morgue would have been solved a lot sooner had the detective the foresight to ask the witnesses if they’d seen any orangutans recently. Reeves needs all his steam-powered cunning and intellect to curb the young master’s excessive flights of fancy. And prevent him from getting engaged. 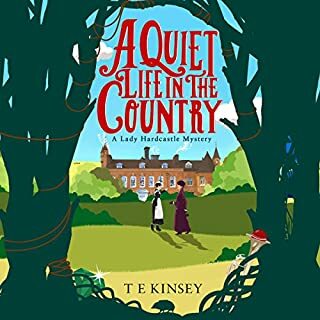 This book contains two stories set in an alternative 1903 where an augmented Queen Victoria is still on the throne and automata are a common sight below stairs. 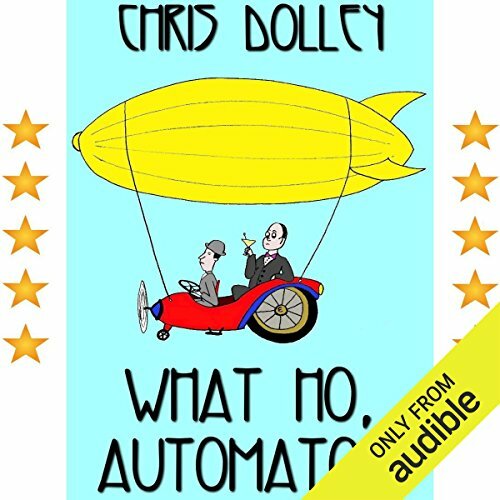 ©2011 Chris Dolley (P)2013 Audible, Inc.
Great steampunk fun for people that enjoy PG Wodehouse. Go to Goodreads to read their reviews. A famous steampunk author (I could name-drop) reviewed it.